TKBC15 | Tomato Glasses, We make glasses frame for kids, baby and toddler. A frame for children aged approximately 2 years old to 8 years. 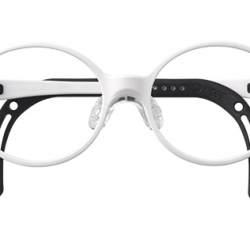 The glass frames are made using non-toxic materials approved by the FDA. 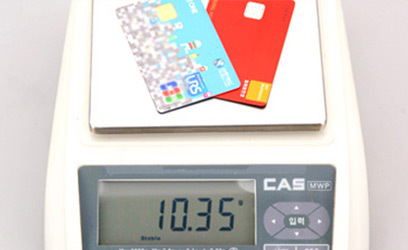 The frames are flexible, display excellent elasticity and do not break easily. On the rare occasion that breakages may occur, they will not produce sharp fragments which might cause injury. 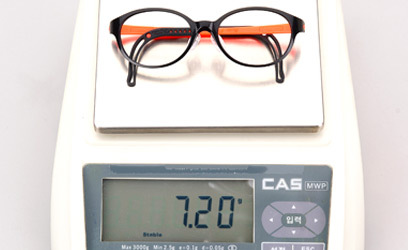 The frames are incredibly light: only 7 to 8g in weight. There is a cushion on the tip that matches the complex curves of the ears and does not press on the ears. 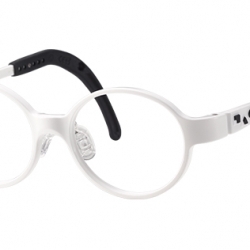 The frames are shaped to follow the face, so they are comfortable to wear and do not press on the temples. 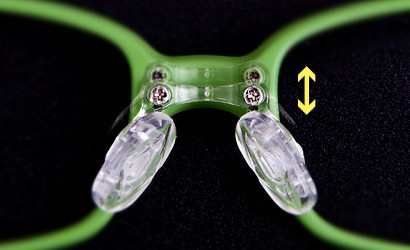 The nose bridge matches the curves of the nose well and thus, allows the nose to hold the glasses comfortably in place and prevents them from slipping down. There is an air circulation groove on the area in contact with the nose, to reduce skin trouble during the summer and prevent the glasses from slipping down. 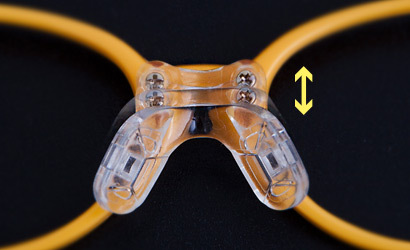 There are two sizes of nosepads, which can be replaced as needed. The glasses sit comfortably and do not slip down because the curves of the ear tips match the curves of the ears. 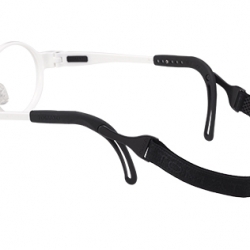 The glasses do not slip off as each ear tip can be easily adjusted and secured to create a good fit. The glasses do not fall down even when fitted with heavy lenses, including high-power lenses, prism lenses, or bonding lenses are fitted, when children are moving, or when a patch is used to treat amblyopia.